So, how do you make your lens focus closer? An extension tube (pictured above) is a pretty basic piece of equipment: it’s just a hollow tube that extends the distance between the lens and the camera’s sensor. The more you increase this distance, the closer the lens can focus. Extension tubes come in a variety of different sizes, from 12mm to 50mm, but the one around 25mm is usually the most useful. For example, if you put the 25mm extension tube on a Canon 70-200 F/4L lens, you can change the minimum focusing distance from 4.9 ft to about 4 ft (which can make a big difference in close-up photography). If you ever use an extension tube with a teleconverter, remember to attach the teleconverter to your camera first (so the extension tube should be between the teleconverter and lens). Which extension tubes should you get? As I mentioned earlier, it’s nice to have a set of extension tubes because then you have a lot of freedom in focusing close. When you buy tubes in a set, you also save some money, so I’d recommend getting a set of three if possible. If you just want to try them out for now, and only get one, then get one around 25mm because that’s probably the one you’d use the most. Most camera manufacturers make their own line of extension tubes, but they’re usually pretty expensive compared to off-brand options. Since extension tubes are just a little bit of plastic and a little bit of metal, I usually buy the off-brand tubes to save money. Personally, I’ve used Kenko tubes for years, and have never had a problem. When shopping for extension tubes, it’s important to keep in mind that many of the cheaper tubes don’t retain autofocus with your lens, so make sure you read the product description carefully (if autofocus is important to you for macro shots), and read the reviews! Wish I had read this before buying my extension tubes. Question, what do you recommend, lens wise, to use as your go to lens and then make your extension use from there? I have 11-16mm, 18 -135mm, 55 – 250mm and an 18 – 270mm lenses. I think I need conformity in my learning process right now. 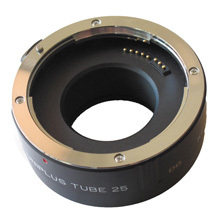 My tubes are the mount adapter ring, 7mm, 14mm, 28mm and the lens mount ring. This was a set at BH Photo made by Polaroid. 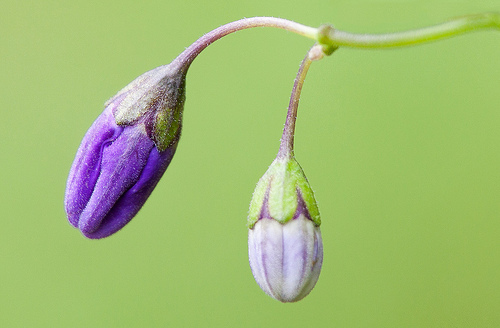 The usefulness of extension tubes depends on the minimum focus distance of your lenses. In general, shorter focal lengths (less than 50mm) have close focus distances, and longer lenses (more than 50mm) have farther focus distances — so, in general, extension tubes are more useful for longer lenses. I mostly use my extension tubes with a 300mm lens or with the 50mm sometimes (but with the 50mm, I usually just use the 12mm tube). I recommend experimenting, and look at the extension tubes just as a tool: if you’re trying to take a photo of something (say a flower), but your lens won’t focus cause you’re too close, then try putting on an extension tube to help you get that image you want.